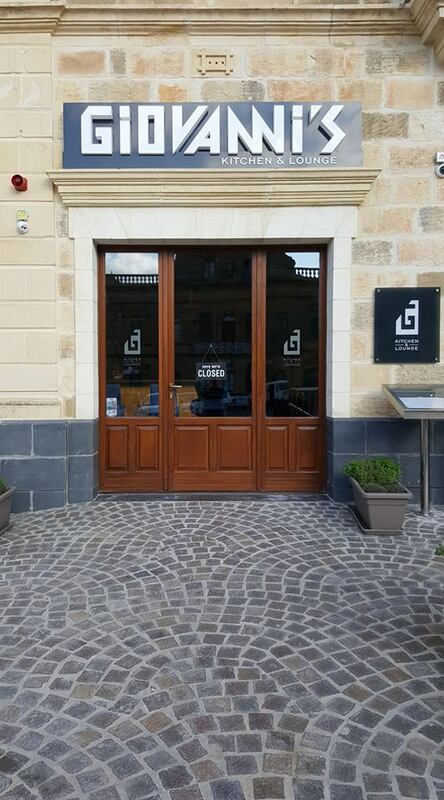 The Quaint Boutique Hotel in Xewkija hosts a restaurant called Giovanni’s Kitchen & Lounge on the ground level. The restaurant is open for breakfast every morning. Evening meals are also available for those people who wish to dine in the centre of Xewkija. The menu consists of antipasto, grills, pasta and also traditional dishes such as rabbit. A selection of both home-made and foreign wine is also available. For further information, you can click on Giovanni’s Kitchen & Lounge Facebook page or call on (00356) 9944 2934 / (00356) 9943 0673. 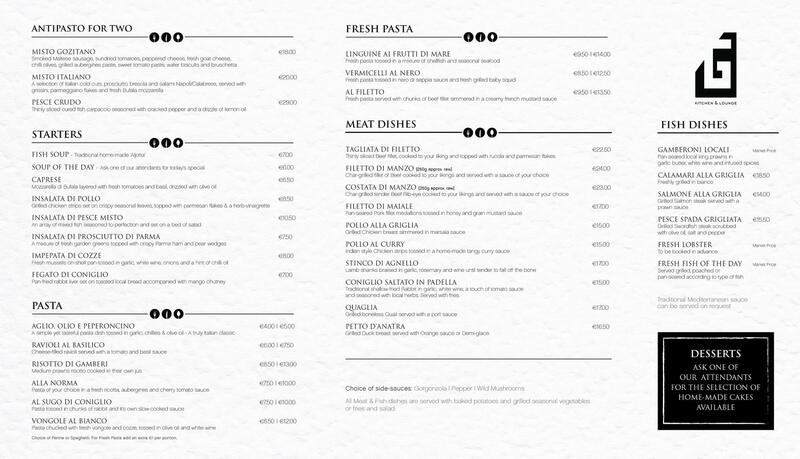 Giovanni’s Kitchen & Lounge menu is attached below.